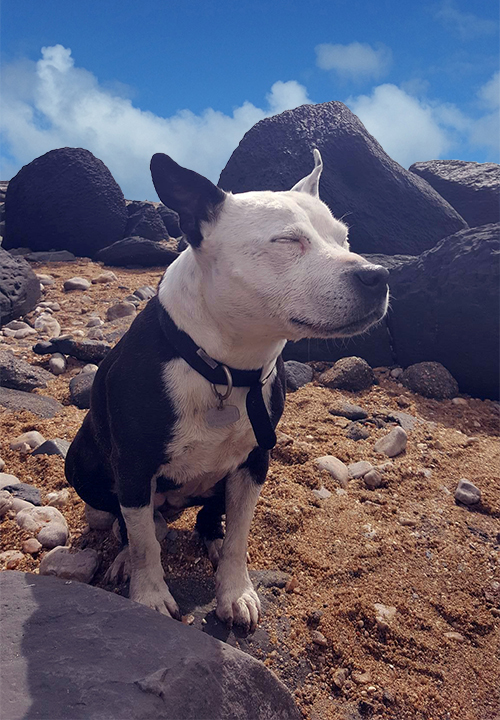 Cassie was a dear little 9 year old Staffordshire Bull Terrier first seen for breathing difficulties in early summer last year. After initial investigations and hospitalisation, Cassie was diagnosed with a Pericardial Effusion – an abnormal build-up of fluid within the pericardial sac. Because the pericardial sac (the sac which surrounds the heart and the roots of the great blood vessels) does not stretch, accumulation of fluid within the sac will cause increased pressure and hinder the heart filling with blood as it should. If this happens, the heart can’t then effectively pump blood throughout the body. After initial stabilisation, some fluid was drained to help Cassie’s recovery and this corrected the situation so that Cassie could go home. However, in November, Cassie had a second episode – common in pets that have suffered a pericardial effusion – and it was again drained successfully. To avoid a further potentially life threatening repeat, surgical treatment was discussed with the owners who agreed that this would be worth carrying out. Kris, carried out surgical exploration by thoracoscopy (key hole surgery) but unfortunately for Cassie, some major adhesions were discovered which meant that Pericardiectomy with open chest surgery was necessary to remove the abnormal part of the pericardium. Cassie’s surgery went very well and after a few days of hospitalisation, she was able to go home. The staff became very fond of little Cassie and she was voted their December’s Pet of the Month! 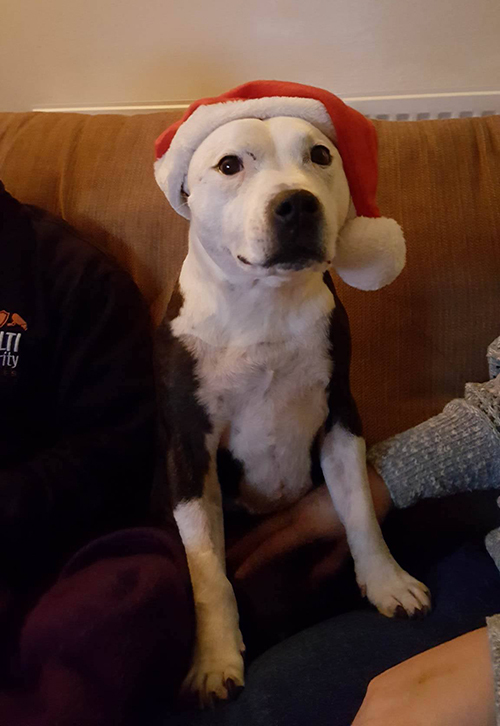 Following the surgery Cassie had a lovely Christmas and two months at home with her owners in good health, however, in the new year she began to develop breathing abnormalities again. She was checked over at Quantock and found, again, to have a large amount of fluid in her chest. This was devastating news as it was hoped the surgery would prevent this problem from recurring. With all possible long treatment options exhausted, we were left with only palliative care. It was decided that to prevent Cassie suffering, it would be kinder to let her go. She died peacefully with her family around her.